The picture above is a representation of this Self Aware Light Universe. The Multi-Verse is similar to a neural web of different self aware consciousnesses creating with infinite potentiality. You are a Universal Creator! You are not born from a Universal Creator, because you are a Universal Creator. 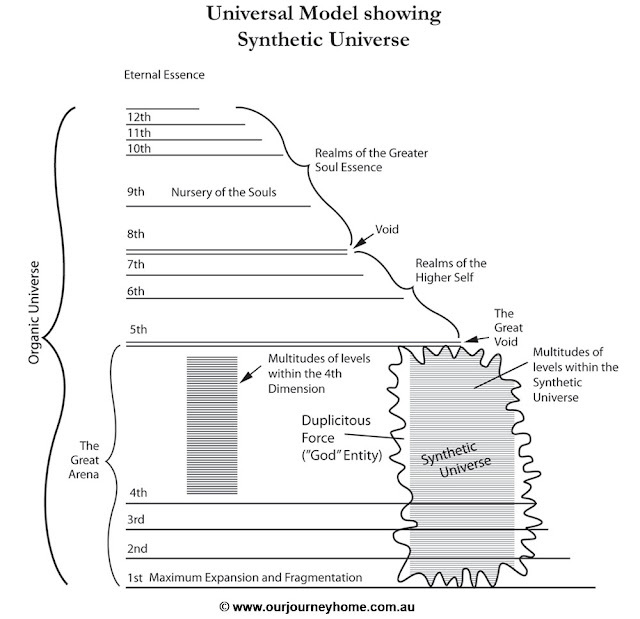 Each Universal Creator allows other beings from the Multi-Verse to learn their construct of creation. An aspect of our Universal Self enters into a Universe to obtain the soul wisdom necessary to become an embodiment of that Universal's creational construct. 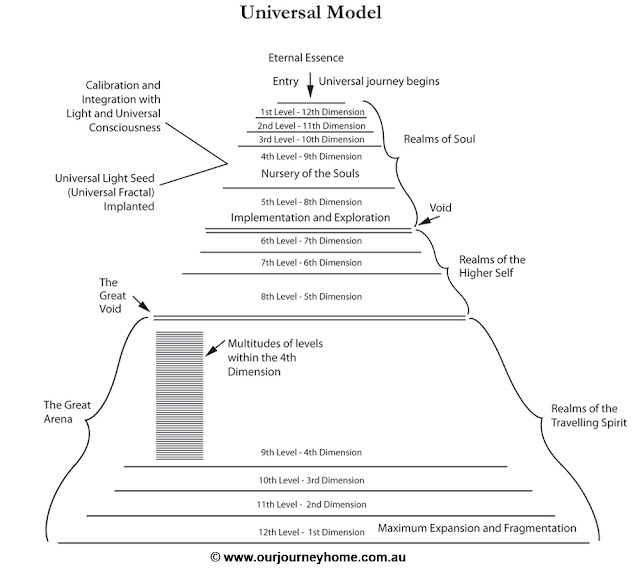 We have reached the end of this cycle and are graduating by the process of Ascension to become an embodiment of the Universal Creator of Light. All Chakras are united into one energy center. Humanity and Mother Earth will Ascend, merging all dimensional energy fields that make up this Light Universe. Sovereignty of Soul and Free Will, No being of Light holds Power over you. Ascension is the remembrance and reintegration with your Universal Self. There are still Galactic Wars with divisions among many different E.T. and Spiritual Groups. Their are some beings calling themselves "your" Ascended Masters, some are deceptive light beings who assist the Galactic Federation of Light. Deception/ Duality/Division still plays out in the 4th Dimension, not as extreme as the 3rd Dimensional Paradigms humanity is used to. The major level of awareness of humanity and mother earth. Fear energy patterns are used on purpose to suppress the human and cosmic spirits. Most Beings from other dimensions are reluctant to enter a human incarnation cycle because of extreme differences in the positive and negative light frequencies. The last cycle of reincarnation for humanity on earth 3D. Your DNA transforms into a light pattern that has all active Universal codes in total harmonic frequency. It is like how a catipillar transitions into a new state of being and becomes a butterfly. The human genome is about to activate and vibrate at a new frequency.